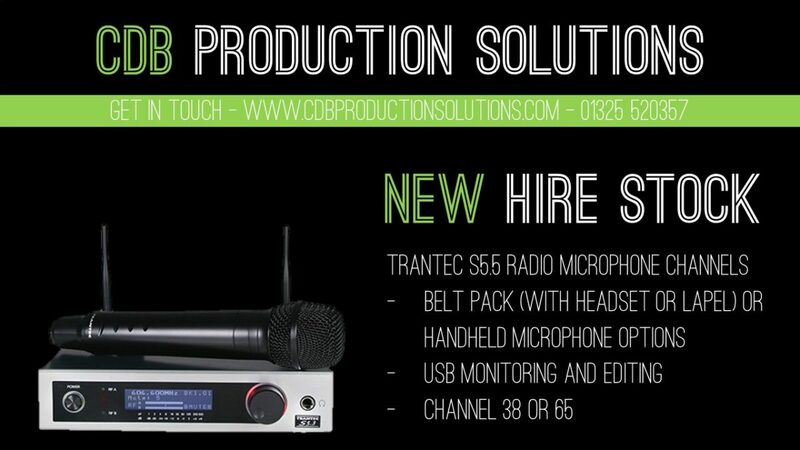 CDB Production Solutions continue to invest in the very latest equipment. Not only in sound, lighting and vision, but also in professional DJ equipment. Recently, we have added the Denon DJ Prime series into our hire stock. We have both the X1800 mixer and SC5000 players in stock available to hire for a very competitive rate. The mixer and players can either be individually flightcased with a lift off lid, or 2 Denon DJ Prime SC5000 and a Denon DJ Prime X1800 can be flightcased together in a coffin style flight case. The key features for the both the Denon DJ Prime X1800 and Denon DJ Prime SC5000 are given below and can also be found on the Denon DJ website. 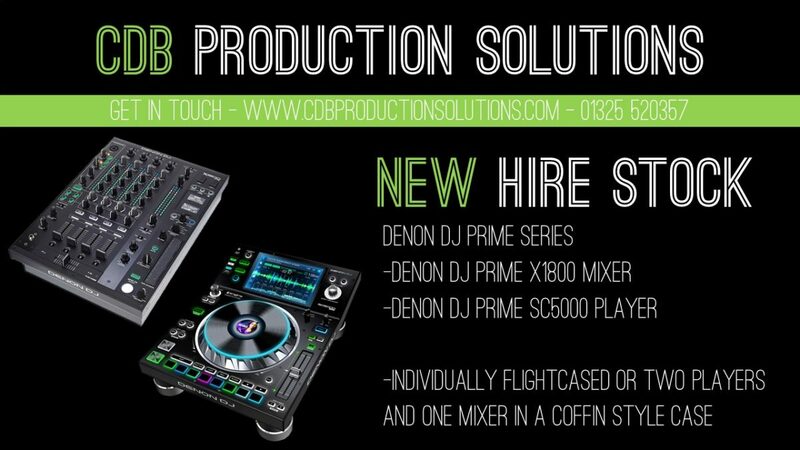 To enquire about hiring the Denon DJ Prime Series from CDB Production Solutions, or any other of your sound or lighting requirements for your event, do not hesitate to contact us today. On Bank Holiday Monday, 28th May, we were in Richmond for the annual Richmond Meet. We were once again providing an outdoor sound system for the days events, including performances from Musical Time Machine, as well as Zumba and belly dancing demonstrations! On Sunday the 20th of May we had the pleasure of providing sound services to Darlington Dance Festival Mass Dance 2018. 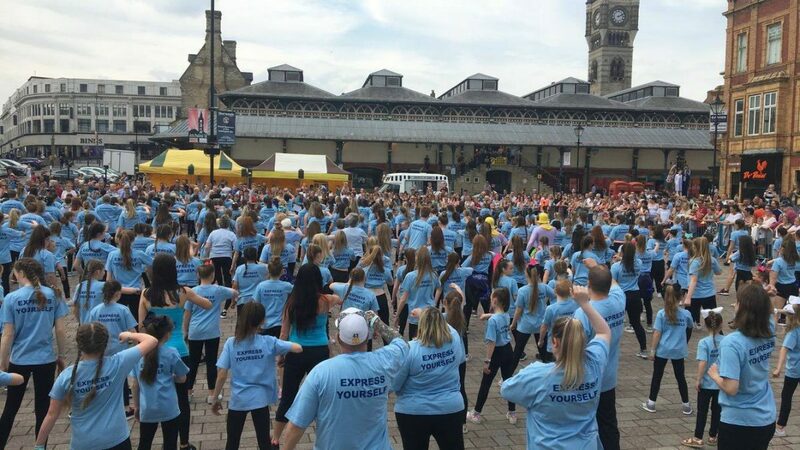 The afternoon of dancing comprised of various acts performing and running workshops as well as over 700 people taking part in the Darlington Dance Festival Mass Dance 2018. On Friday 11th May we had the pleasure of providing technical services to the first Darlington Kingdom Come event held at St Cuthbert’s Church, Darlington. The evening featured the Tom Read band, who performed a variety of worship music, as well as talks during the Kingdom Come 2018 service. Our role for the event was to transform St Cuthbert’s Church into a performance space through the use of sound lighting and vision. Firstly, the sound system was designed to suit the venue, due to the acoustics properties of the church, and for this we used D&B Audiotechnik C-Series of loudspeakers, alongside the in built processing power of the Behringer X-32 Digital mixing console, which we used for the FOH mix. In addition to this, due to the limited space on stage we provided wireless IEMs (In ear monitors) for the band members, as well as radio microphones for the Kingdom Come organisers for talks and prayers. We also provided all backline for the band, resulting in an efficient sound check as all lines were tested prior to band arrival resulting in a smoother set up. 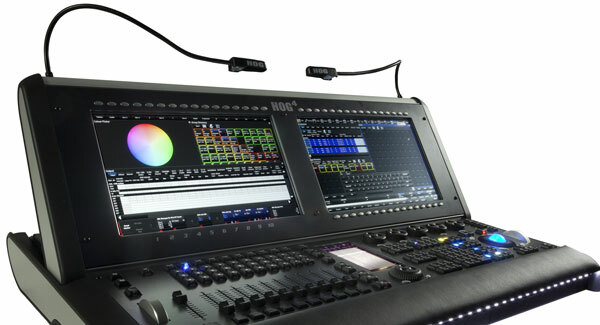 As well as hiring equipment we also offer Sound Installation, Lighting Installation, and Audio Visual Installation services. Whether that be upgrading an existing installation or a brand-new performance space. 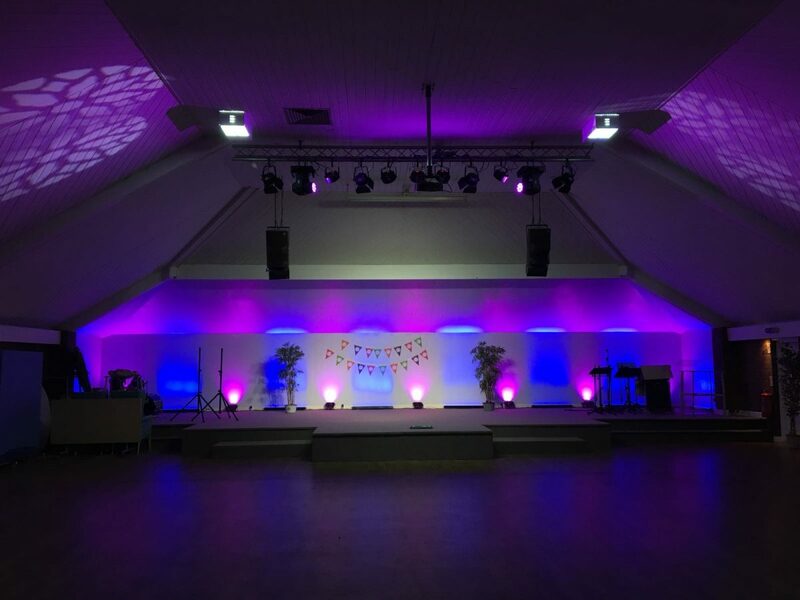 After a busy Christmas, the first install of the year was a new AV & lighting system for a local community hall. After having on site meetings, we were able to design a system that would meet the requirements of the various users of the hall and most importantly, would be versatile and easy to use. We carefully picked fixtures and equipment to use on the installation which resulted in a finished installation that we could be confident met the versatile requirements. Christmas is a busy time for us with outdoor events. On the 2nd of December 2017 we were providing full sound system and trailer stage for Richmond Christmas Market. 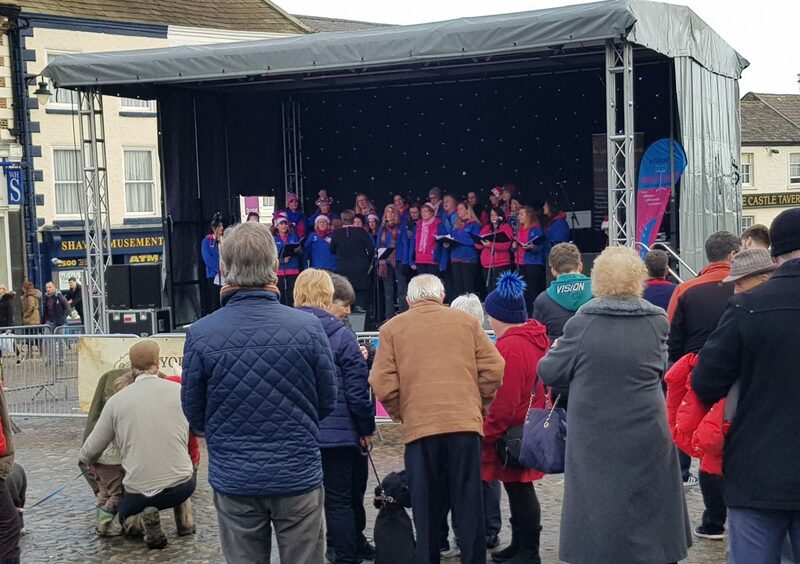 The day saw a variety of acts performing at the Christmas Market including The Band of the Royal Armoured Corp, Richmond Operatic Society, A local dance school and even a Zumba demonstration! All this took place on our trailer stage. The use of the trailer stage meant that we could arrive on site, the morning of the event, quickly rig the stage and have it all up and leveled off inside of an hour. For the past 5 years we have been providing full production to Sedgefield Rock & Blues Club, a small music venue which offers great acts that always have sell out performances. 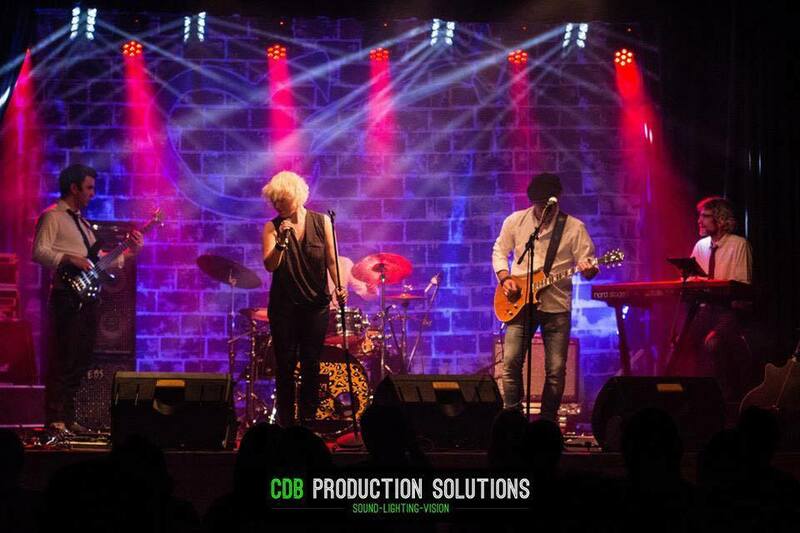 The end of 2017 saw the Rebecca Downes Band come to Sedgefield Rock & Blues Club, where we provided a full sound system and lighting rig. The sound system consisted of 2 stacks of D&B C series PA, along with wedge monitors and in ear monitor sends, all controlled through our Behringer X32 full size digital mixing console, with wireless access on stage for the band to control their own monitor mixes. As well as this we provided a full lighting rig with flown movers, led effects and matrix blinders. This was all controlled through the High End Systems Hoglet 4 coupled with a 24” 10 point multi touch screen loaded with Hog 4 PC. This is ideal for setting up in a smaller venue due to its small footprint, without losing any power that Hog OS can bring. We are back with Sedgefield Rock & Blues Club in the new year for the start of another great set of gigs. As always, if we can assist with production services for your event, including sound, lighting and temporary power distribution, get in touch via our contact us form. Or if you would prefer to speak to someone in person, give our office a call on 01325 520357. We are always on hand to provide information and guidance.